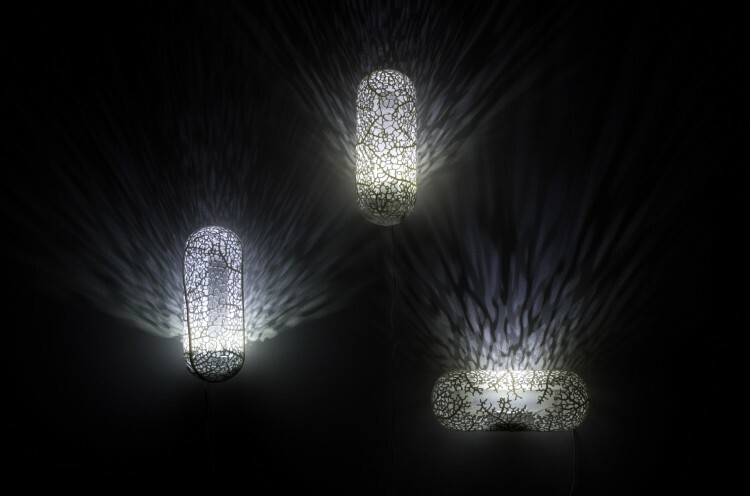 We’ve created three new series of algorithmically generated lamps for our Hyphae Lighting collection: a pendant lamp, a sconce, and a matte black table lamp. 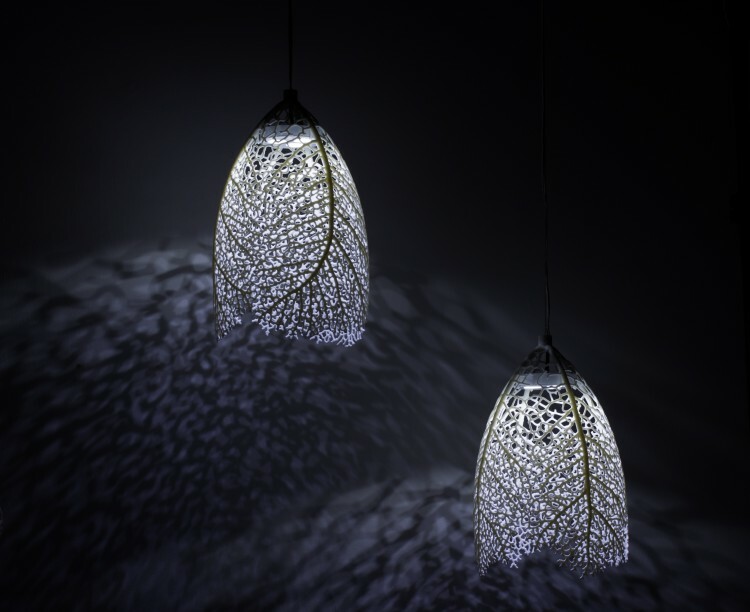 Inspired by how veins form in leaves, each lamp is digitally grown in a computer simulation and fabricated with 3D printing. 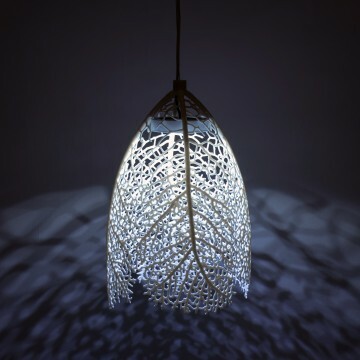 The process guarantees that every lamp is unique. 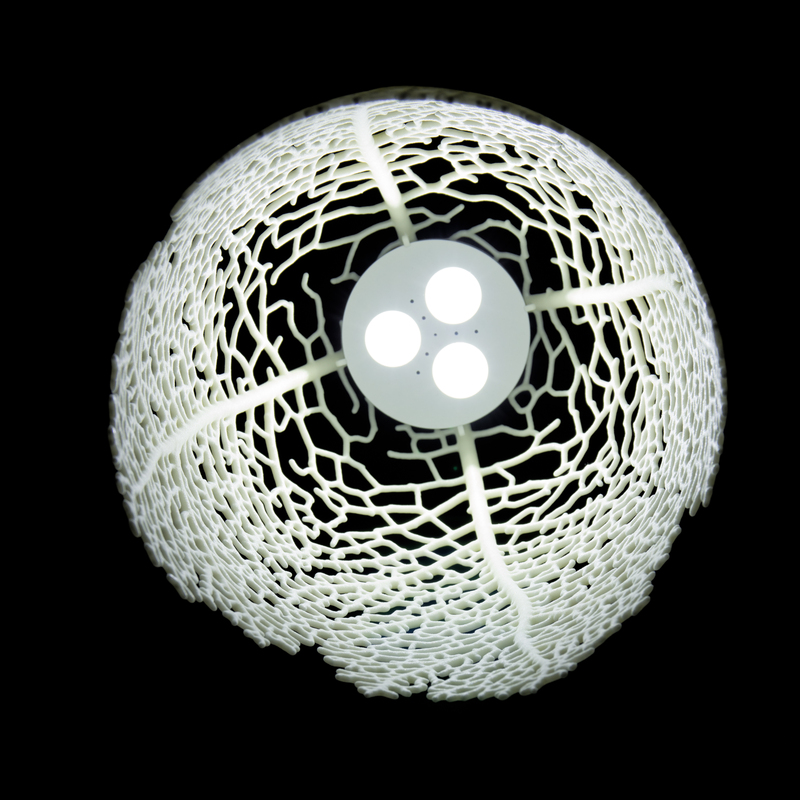 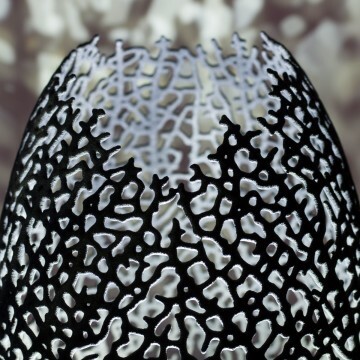 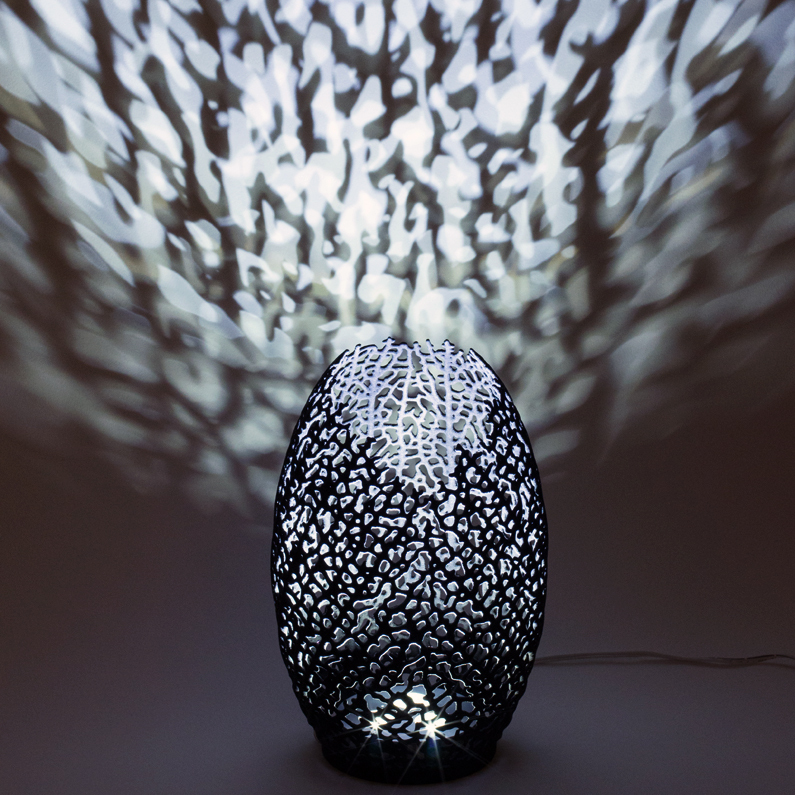 These generative lamps epitomize our work at Nervous System, combining the use of simulation to generate a myriad of unique forms with digital fabrication to materialize them. 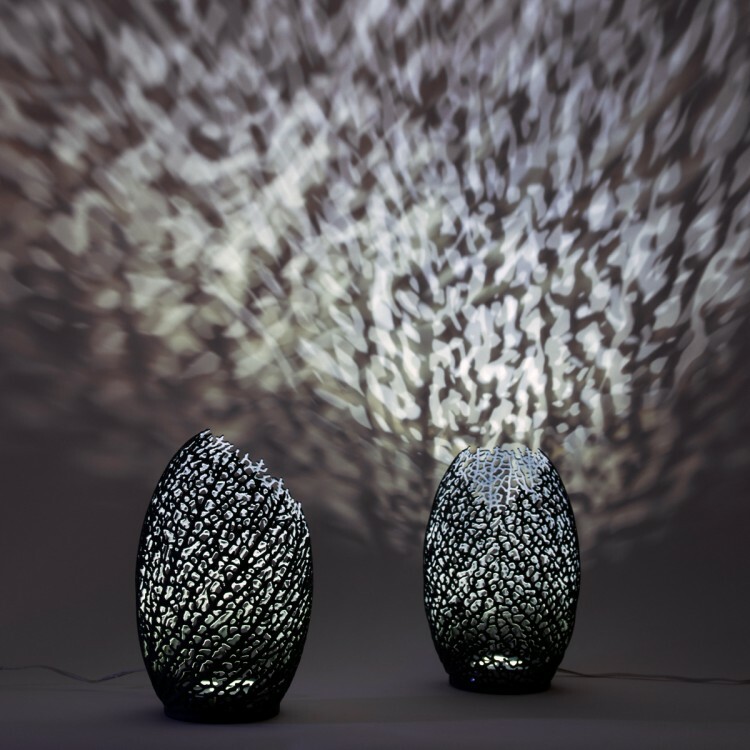 The lamps are lit with energy-efficient LEDs, and cast dramatic branching shadows on the surrounding environment. The Hyphae pendant lamp ($500) is a hanging lamp that directs light downward while casting unique forest-like shadows onto nearby walls. 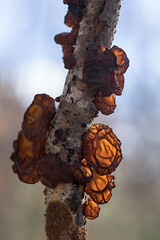 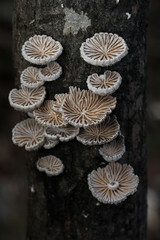 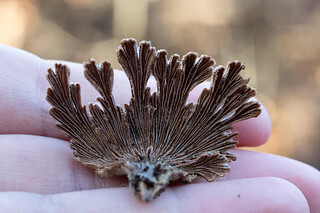 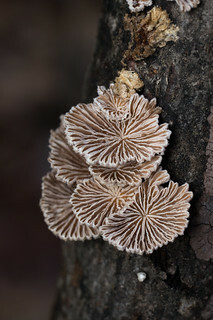 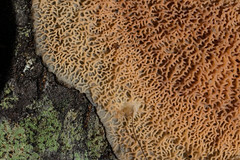 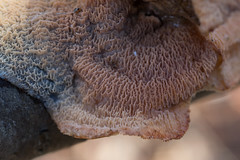 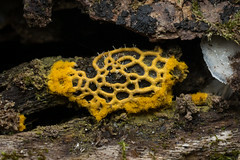 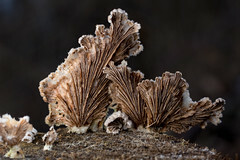 The lampshade branches from a thick stem, the pattern growing more dense as it descends, and ending with an uneven edge reminiscent of overlapping leaves. 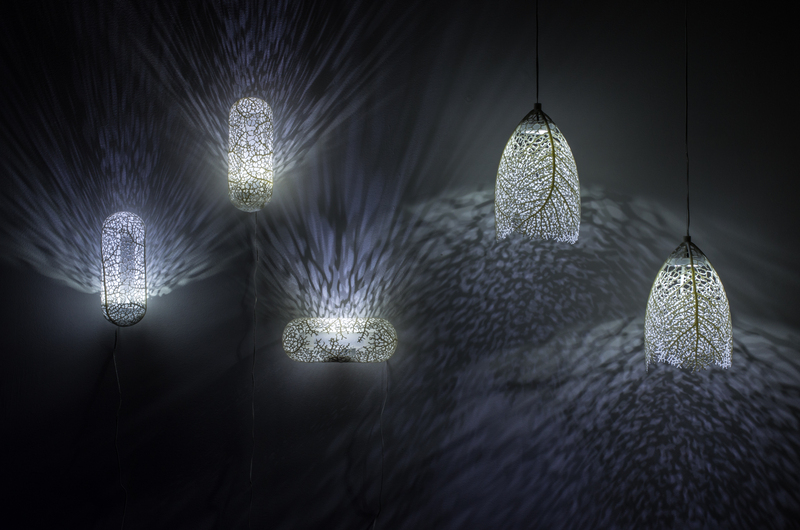 Each lamp is one-of-a-kind and algorithmically generated using our own nature-inspired software. 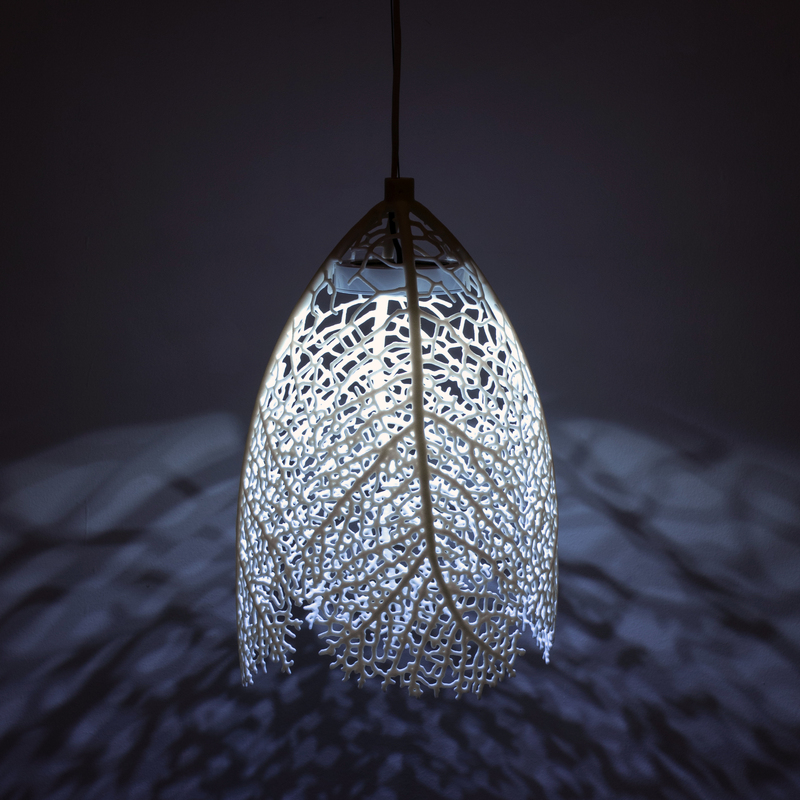 It measures approximately 17.3 x 17.3 x 27.2 cm and is made of 3D-printed nylon with an LED fixture. 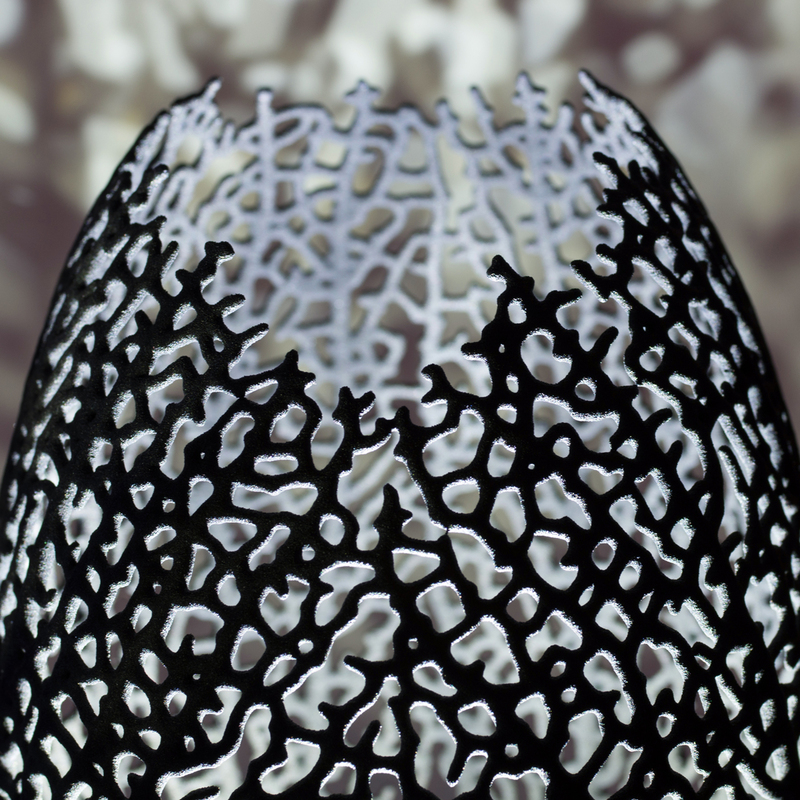 The black Hyphae lamp ($500) is a striking new color variation of our classic table lamp. 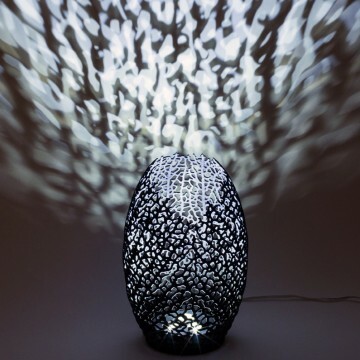 The matte-black finish creates a sharp contrast between the form of the lamp and its projected patterns of light and shadow. 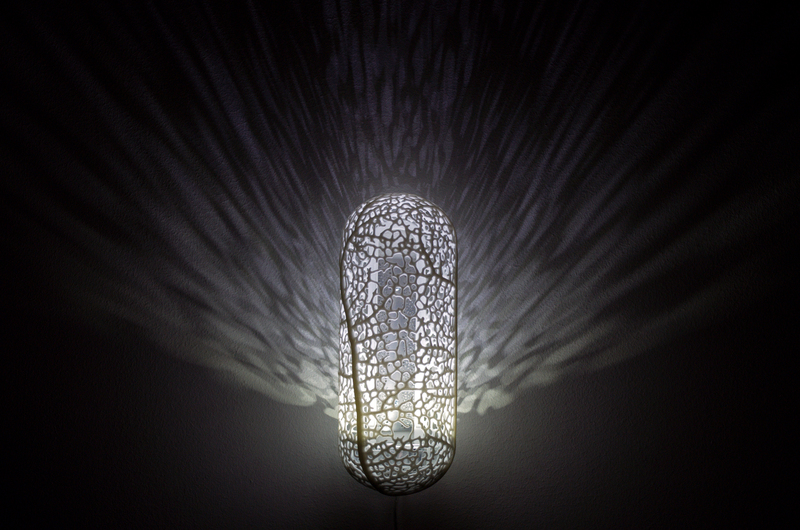 The Hyphae sconce ($500) has a sleek, capsule-shaped design and projects coralline shadows upwards from its perch on your wall. 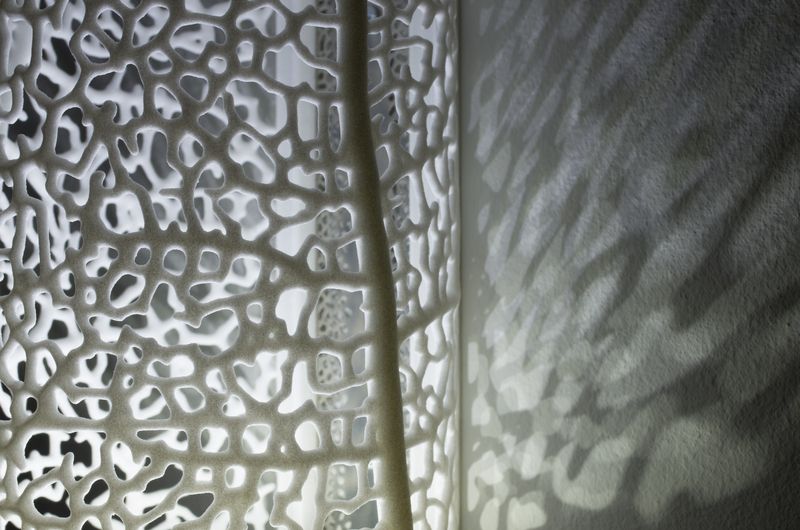 Combine horizontal and vertical specimens to create a unique landscape of light. Visit the Nervous System Shop to see all of our lamps!